Many people dye their grey hair with black color because of the perspective of society on ageing. When we see so many advertisements everyday that promote products to look much younger than our real age, it’s much difficult to choose natural grey hair over black hair, which represents youth. But the happy thing is that nowadays, more and more people are embracing their natural look with grey hair. Black color represents strength, seriousness and strong emotions, whereas grey color represents neutrality & balance. In the modern world, people who have strong emotions are easily offended for almost everything. But some people choose to be balanced and peaceful. 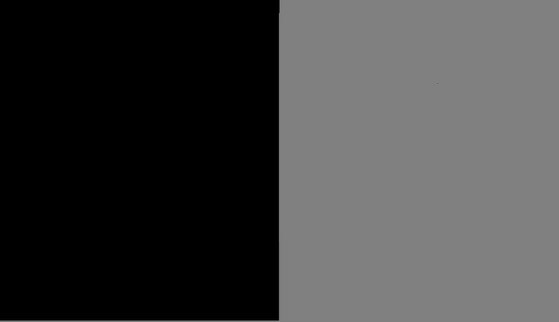 Grey color represents conformity, whereas black represents independence & authoritative. In society, many times we have to choose between these two paths. Depending on the situation we tend to select the path. In some situations, we try to blend in with the group by exhibiting the characteristics of grey & in some other situations, we choose to not blend in & feel the need to be rigid. And these both qualities are very important to sustain and as well as to bring change in society. Nowadays, it is difficult to find good people who are as pure as white. Many times we are left with the choice of choosing between black & grey, which means evil persons & normal people who are a mix of good & bad. These days, grey color is being increasingly used in fashion industry. As black is considered as inauspicious by many, grey color is the new choice in ethnic wear too. Use of grey color is increased so much that it is competing with black color, which is a famous color in fashion. This makes us realize that change is the only constant thing in this world. What are your ideas on this abstract GD topic? Let us know through the comment section. Subscribe to our blog to read answers to trending GD topics.